All students of all ranks are invited and encouraged to attend to pay respects to our Master Instructor, World Master Rhee. Held at the Kepnock High School Hall students are recommended to arrive around 4pm for a 4:30pm start. There is no official finishing time however we are generally well and truly done by 6pm. Please remember to wear your full uniform (no t-shirts) and a BIG smile. It’s not a lock down event, students are welcome to arrive late and leave early if necessary. The important thing is you made an effort to attend and do your best. No video cameras or filming thanks. Shout loud and have fun. For students who haven’t been to one of these before they are a fun and educational afternoon which shouldn’t be missed. Listen out in class for more information on the event and why it’s so beneficial to attend. 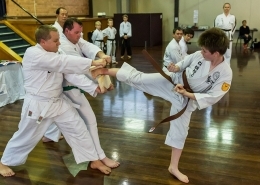 We have a great deal of seniors students who are looking great and may get the opportunity to apply for their black belt so we would love it if every single student was able to make it to help cheer them on and witness something special. 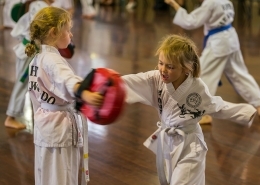 The Very Important Parents fitness and self-defense classes are a monthly class for parents of enrolled students. They’re absolutely free and our way of saying thanks for your continued support. Details in our ‘Latest News’. 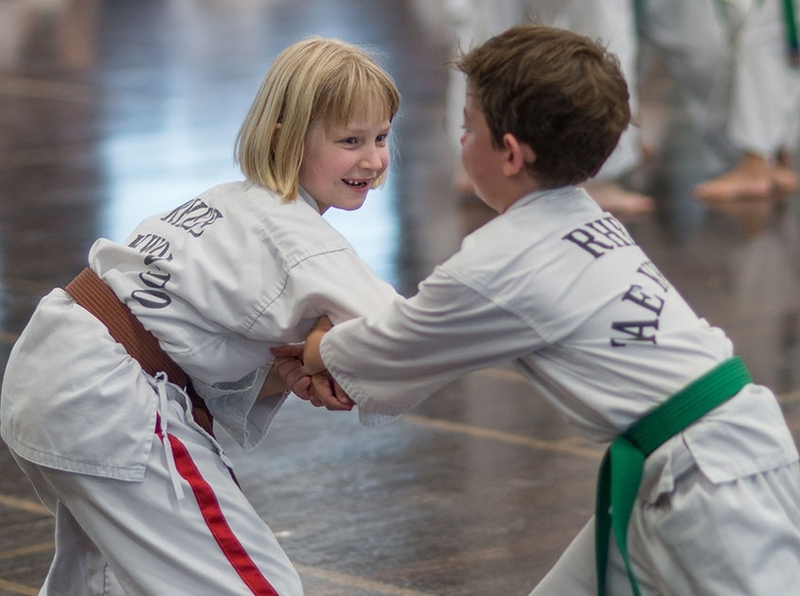 Once we begin to build a child’s confidence we are able to instill the values of respect, courtesy, honesty and integrity that are the foundations of the martial arts dating back thousands of years.